A new study from Pew Research confirms our collective hunch that 95% of teens now report they have a smartphone and that 45% of teens now say they are always online. No shock there. The finding that is far more worrisome? 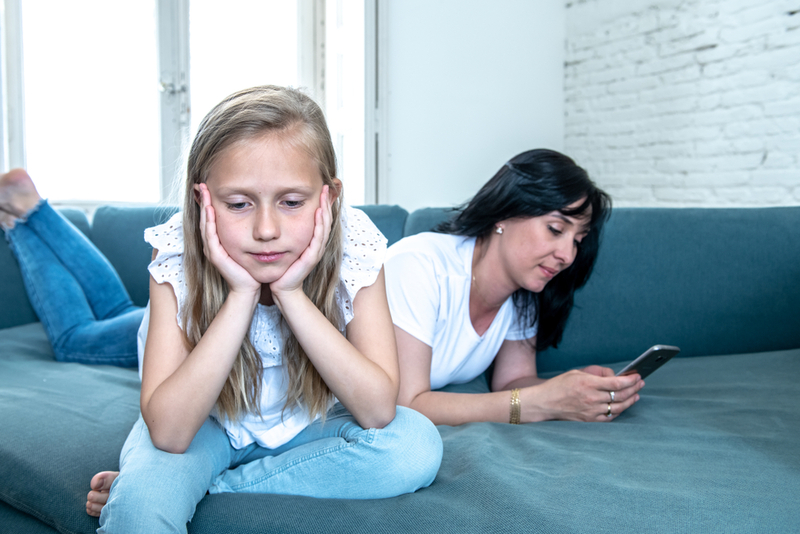 That despite this dramatic digital shift over the past decade, parents are divided on whether today’s teens face a set of issues completely different than the issues of their youth. When asked to compare the experiences of today’s teens to their own experiences when they were a teen, 48% of parents surveyed said today’s teens have to deal with a completely different set of issues. Likewise, 51% said that despite some differences, the issues young people deal with today is not that different from when they were teenagers. In trying to understand this reality gap, the survey offered up another morsel of insight: That parents themselves are as distracted as kids when it comes to reliance on devices. Yep! As worried as parents say they are about the amount of time their teen spends online, parents’ digital behavior isn’t exactly praiseworthy. 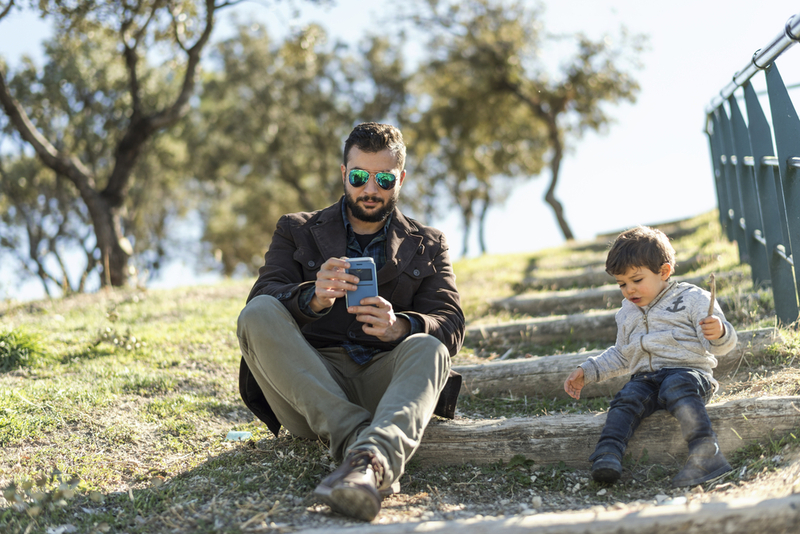 The survey found that 59% of parents say they at least sometimes feel obligated to respond to cell phone messages immediately, while 39% admit they regularly lose focus at work because they’re checking their mobile device and 36% say they spend too much time on their cell phone. If half of us genuinely believe that our kids are growing up with issues similar to ours as teens (only with strange devices in their hands), and if we are telling our kids to lead balanced digital lives but our digital habits are off the rails, then — if we’re honest — we’ve got some serious work to do as parents. How do we begin to shift these numbers in favor of our family’s digital health? How do we move from technology leading our family to the other way around? Like any significant change, we begin at home — with the truth — and move forward from there. We’ve got this! Own your stuff. Let’s get real. Change begins with acknowledging our personal responsibility in what isn’t working. If your own screen time is out of control and you are trying to set healthy digital habits for your family — that contradiction is going to undermine your success. Take a look at your screen time habits, admit to the bad habits, and establish fresh tech goals moving forward. No shame zone. We know about establishing device-free zones in the home such as the dinner table, movie time, and the bedroom at night. Consider a no shame zone — the understanding that no one is made to feel shame for his or her not-so-great tech habits. It’s hard to move forward toward new goals if we beat ourselves up for the past, compare ourselves to others, or are made to feel like the bad guy for falling short. Acknowledge bad habits, discuss them openly, and help one another do better in the future. Your chances of success double when you have a team supporting you. Stick to a device curfew. Try a device curfew — say 8 p.m. to 8 a.m. — when devices are turned off and put into a drawer (yes, you have to get this intentional). A curfew increases face-to-face family interaction and creates space for non-device activities. It specifically reduces the temptation to habitually check your phone, get lost scrolling on Instagram, and getting sucked back into work emails. More importantly, it models for your kids that you don’t have to check your phone constantly, which has countless emotional and physical benefits. Be realistic with changes. The goal is to reduce your tech and strike a balance that complements — rather than conflicts with — your family’s lifestyle and wellbeing. We know that technology is now an ever-present part of family life so cutting it out completely is neither beneficial nor realistic. Achieving a healthy tech balance is an on-going process. Some days you will fare than others. The goal is to make progress (not perfection) toward a healthier, more balanced relationship with your technology. Going haywire with rules and consequences won’t get you there faster. Discuss as a family what changes need to be made and brainstorm ways to get there. Set some realistic goals that everyone can achieve and maintain not just in the short-term but also as a lifestyle. Turn off notifications. This is a small, powerful act that can transform your digital life. 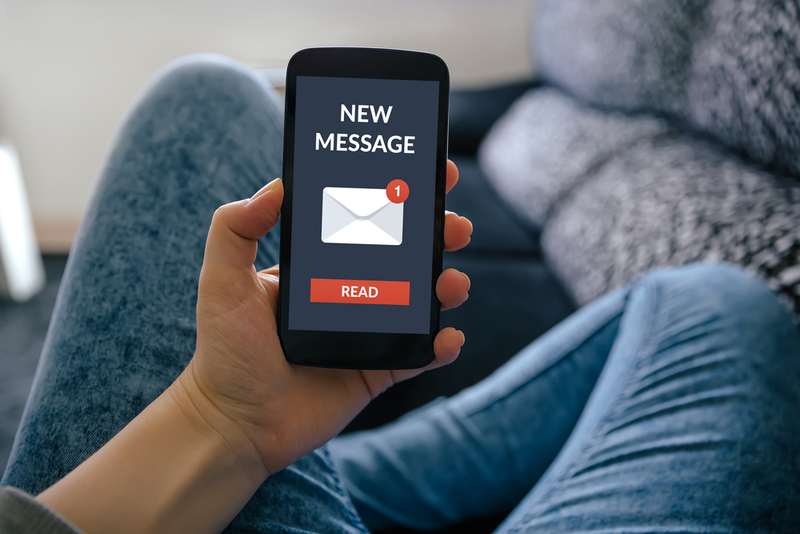 Getting pop up notifications for apps, emails, texts, calendar events, social media actions — you name it — might be your normal for you but far from beneficial. So, turn them all off. I dare you. Filter content. Tech balance isn’t just about less tech; it’s also about monitoring the content that flows into your home from the other side of the screen. You can turn off your family’s devices for 23 hours a day and if the content you allow into your home for that remaining one hour isn’t age-appropriate or conflicts with your family’s values and tech goals, then that one hour has tremendous influence. Take the time to explore filtering options that allow you to set time limits on your child’s (and your) technology, block dangerous websites and apps, and helps you strike a healthy tech balance that reflects your family’s lifestyle and needs. Roll up your sleeves: Co-view movies, go through apps and video games and discuss the issues that arise around the media your kids consume. Be the parent. Kids crave consistency and leadership from parents. No matter what age your child may be, as a parent, you are the most influential person in your child’s life. You pay the bills. You can shut devices and routers off — regardless of the tantrum level. Your opinion matters on video games, media, apps, friend groups, and content. Don’t let your child’s emotional protests keep you from parenting well and establishing and enforcing good tech habits. If you think your child has a technology addiction issue trust that instinct and take action. Get a plan, work it. We all nod when we read this but who has done it? You can’t get where you are going without a map. Put a family tech plan in place (with group input) and stick to it. Ideas to consider: Phone free zones, device curfew, chores and responsibilities, physical activity vs. screen time, social media behavior, tech security rules, TV viewing time, video game time limits, content guidelines, and expectations. If you discover that your tech plan isn’t working, zero in and make adjustments. Rediscover real life — together. Maybe you’ve gotten in some bad habits over the years. Don’t beat yourself up. Just decide to change things up moving forward. It’s never too late to change your family vibe. Explore new things together — nature, art classes, concerts, camping — anything that helps you disconnect from technology and reconnect to each other and real life. Keep. On. Talking. Sure you’ve said it before, so what? Make the conversation about digital issues a priority in your home. Ask your kids what’s going on with their friend groups and online. Talk about tech issues in the news. Talk about the health and emotional issues connected to excessive tech use. According to your child’s age, talk about the stuff that’s tough to talk about talking about like cyberbullying, suicide, self-harm, body image, and sexting. A good rapport with your child is the most powerful tool you have as a parent today. Remember, technology is a tool not a way of life. Healthy screen habits begin parents who are grounded in reality and who model healthy screen habits themselves. Times have changed, there are challenges to be sure but stay the course parent: You’ve got the tools and the tenacity you need to get in front of those challenges and equip our kids to live wise, balanced digital lives.